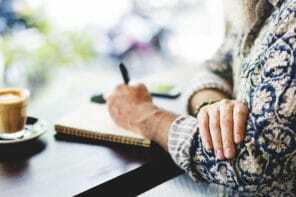 Worried and well-meaning adult children often have a hard time convincing aging parents to accept help when they start having trouble managing their own finances. 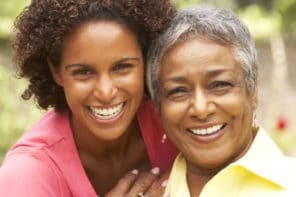 Our friends at The Dollar Stretcher share advice on how to protect your parent from unintentionally spending all their hard-earned money. My 70-year-old mother lives alone a few miles away from two of her five daughters. She’s fiercely protective of her privacy and independence. However, she cannot handle her money. We think she may have early Alzheimer’s. She’s always been bad with bouncing checks and having the utilities cut off for non-payment. But now she’s much worse. 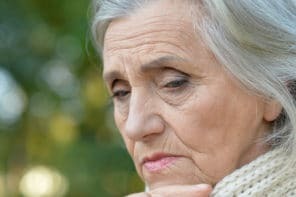 She gets a retirement pension that is about three times as much as her normal monthly expenses, but she’s always broke by the 15th of the month. So we’re trying to get control of her money. Our plan is to open up a new checking account for her pension to be automatically deposited in that she will not have access. We’re going to change the address on her bills and I will become the bill-payer. We’ll give her an allowance of $500 a month for groceries, gas, and other expenses, which I think is very ample for a single person. Whatever doesn’t go for her bills will be put aside for an emergency fund and for future medical bills. My sisters are all in agreement that something needs to be done. Now we have to get our mother’s cooperation. Natalie’s problem is a common one. As people live longer, more become frail in their later years and need help with their financial affairs. I’m assuming that Natalie only wants what’s best for her mother. The state can’t assume that. So they write laws to protect the rightful owner of property. In this case, Natalie’s mother. The presumption is that your mom is an adult, it’s her money and she should be able to spend (or squander) it anyway that she thinks is appropriate without Natalie’s approval. So, the first thing is to get mom’s willing agreement. You’re walking a tightrope. If she’s truly incompetent you might need to force the issue. But, if she’s mentally fit, coercing her is just like stealing her money and her freedom. If mom doesn’t want to give up control of her money, Natalie would need to go to court and prove that she’s not mentally capable of handling her affairs. In that case the court will appoint a guardian. Even then there’s no guarantee that a relative will become the guardian. And Natalie’s relationship with her mother would probably be seriously harmed. If mom is agreeable to getting help from her children, the job is much easier. You’ll still need to consult an attorney. This is too important to mess up. The simplest solution to making sure that bills get paid would be to have one or two children authorized to write checks on mom’s account. Then have the bills sent to the child for payment. Unless a check limit was set at the bank, it would allow the child to write a check for all of the money in the account if they wanted. Avoid joint accounts. Money in a joint checking account legally belongs to everyone listed on the account. So it’s possible for mom’s money to be taken to pay for a daughter’s debts. Natalie could consider a limited power of attorney. That’s a legal document that’s usually drawn by a lawyer. It could allow one or more of the daughters to act on mom’s behalf in certain situations. The problem with a power of attorney is that banks are wary of them. Because they don’t want to take a legal risk, it’s easy for them to reject a power. That way they avoid taking any chance that they’re honoring a fake power and helping to steal someone’s money. The most complicated but best legal document for this type of situation is something called ‘a living trust’. A living trust is a document that any competent adult can have created. They can also change it anytime they want as long as they’re alive and still ok mentally. An attorney should write it, but they’re not as complicated as you might think. Property is placed under control of the trust. In this case probably mom’s checking account and the proceeds from her pension. The trust says how the assets are to be used. Trustees are allowed to act within the authority of the trust. Mom would be the original trustee. And when she’s not able, a successor trustee(s) would step in and take over for her. Probably one or more daughters. Natalie and her sisters are in a sensitive position. If mom is truly not competent to take care of herself then getting her help is the right thing to do. And loving children would step in. But being irresponsible doesn’t mean that someone is incompetent. And it doesn’t give others the right to take control of your property. So children would honor their parents by respecting their freedom and giving only the help that the parent requests. Hopefully, Natalie and her sisters will be wise in striking the proper balance to help their mother.